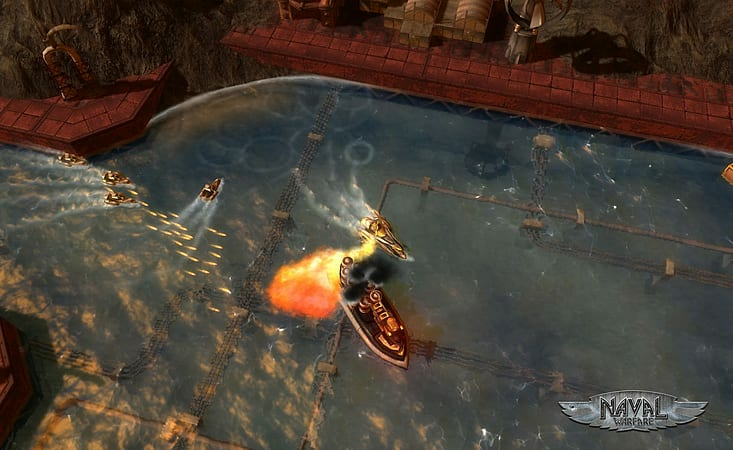 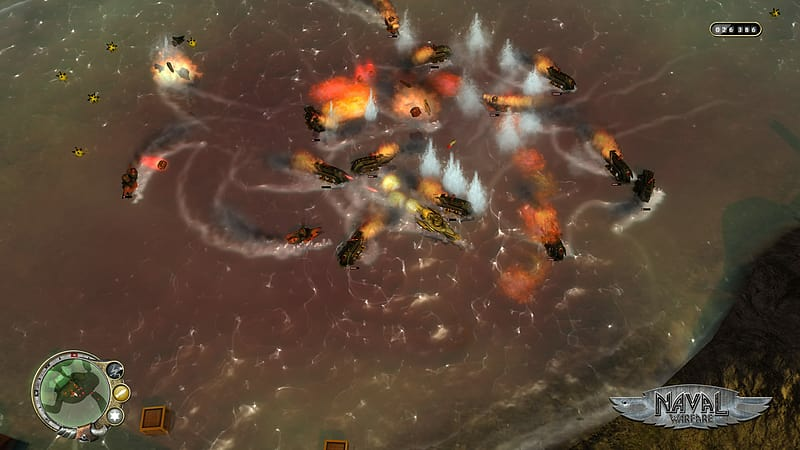 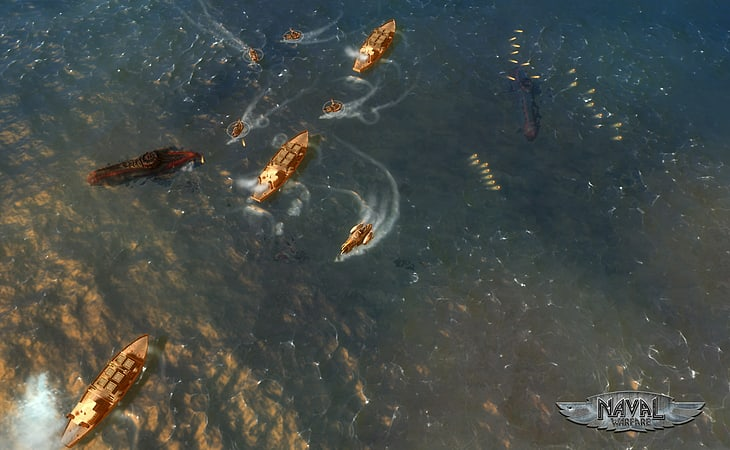 Naval Warfare is a stylish arcade-action shooter with numerous tactical elements, driven by an entertaining story with beautiful hand-drawn comic sequences also featuring a thrilling campaign mode and various exciting multiplayer modes. 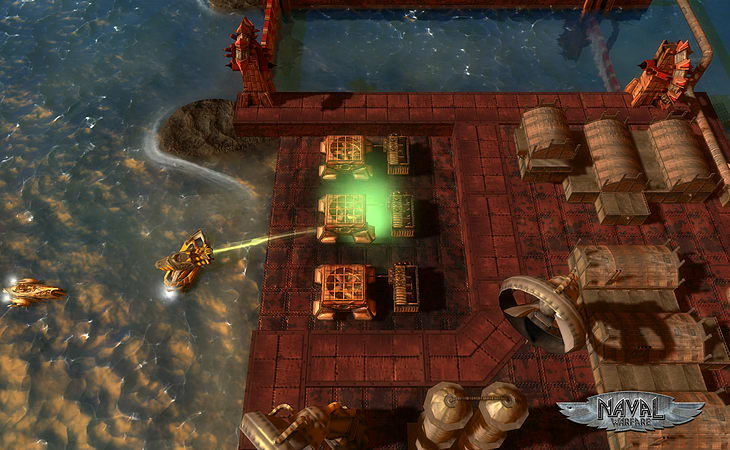 The game itself is presented in a fictional Imperial Victorian setting. 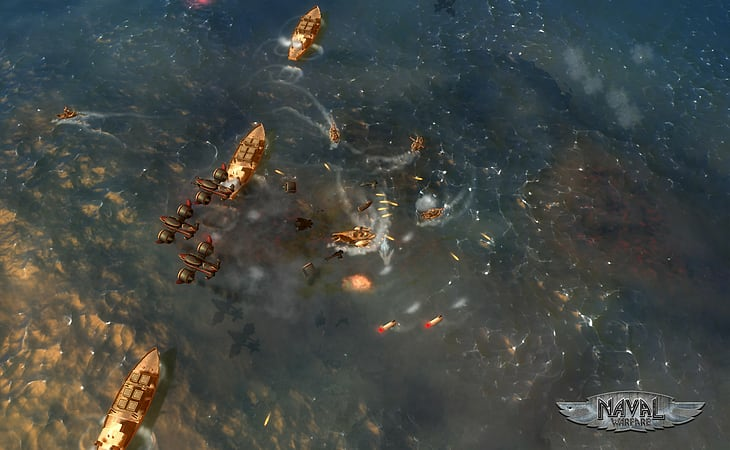 In Naval Warfare, you will take control of an elite cruiser and steer into the middle of a raging naval war where masses of enemies and allies engage in real-time operations. 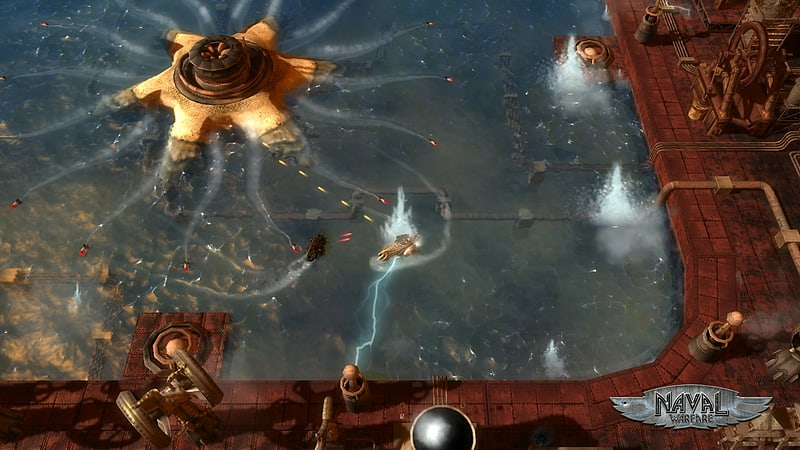 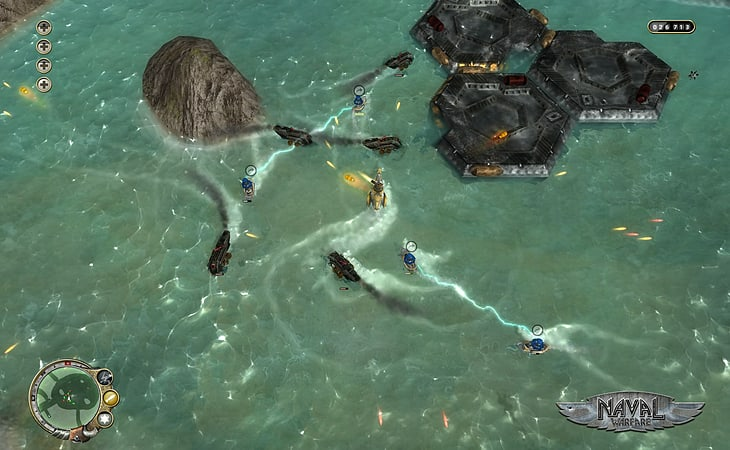 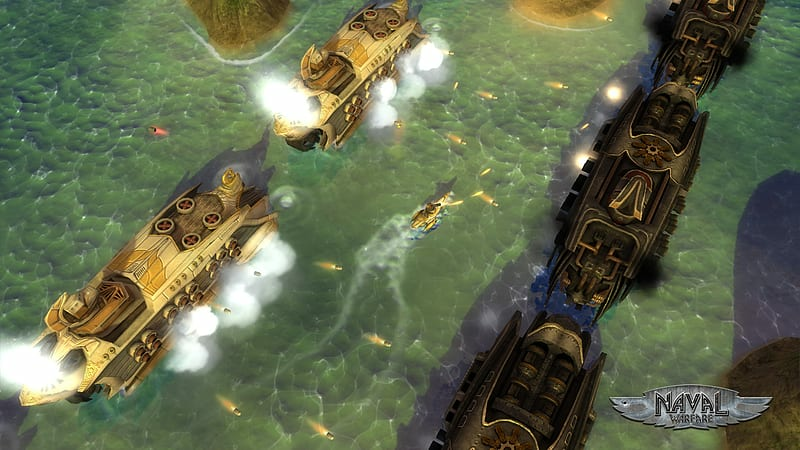 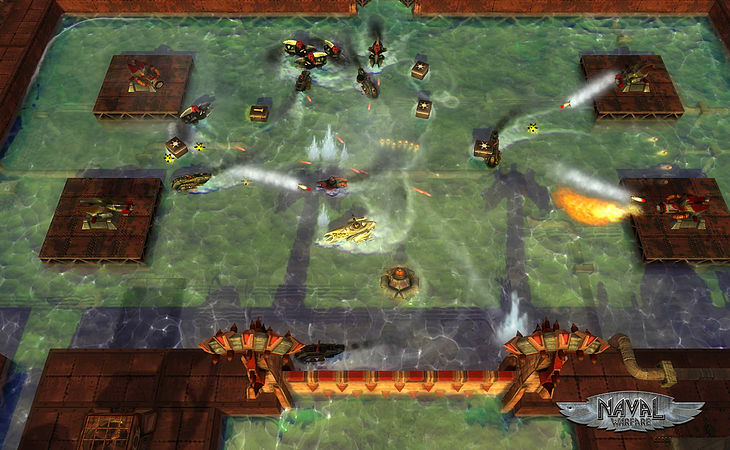 Being attacked from above and below the water surface, you have to destroy masses of enemies’ troops to be victorious. 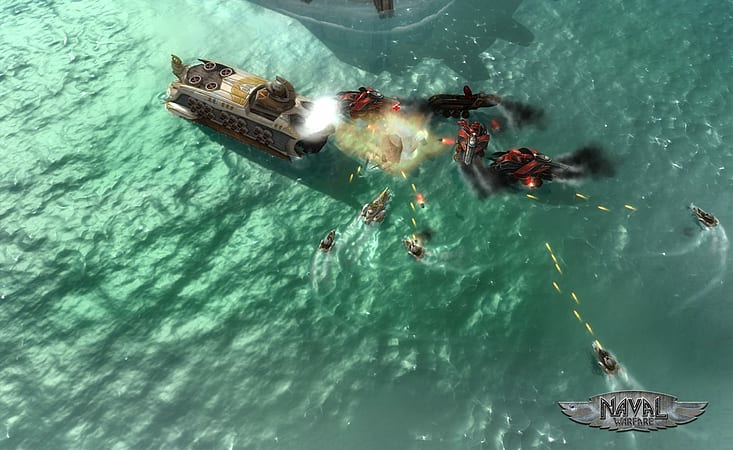 By unlocking new ship-types, weapons and upgrades, you will have the opportunity to enhance your ship and gear up for the next fight. 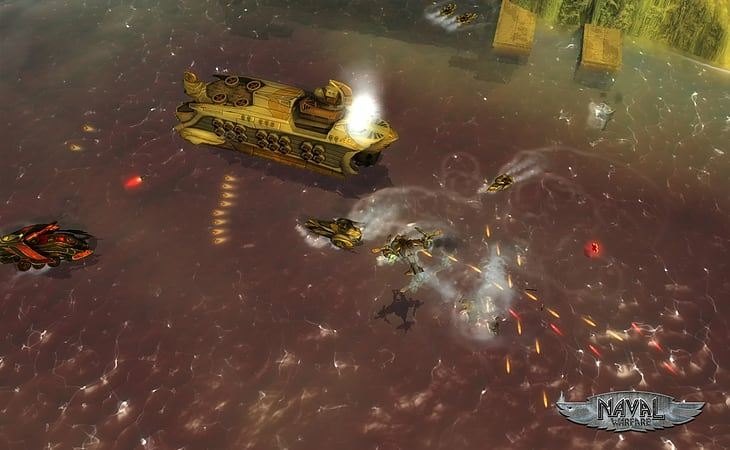 Choosing from various tactics and forming special supporting squadrons, you will also have the option to command offensive and defensive troops in order to overcome large enemy formations and defensive installations.